As an undergraduate history and anthropology student at University of Melbourne, I have a passionate (and somewhat nerdy!) interest in history. Throughout my studies, however, Australian farming and rural women had never been presented to me as subjects with a history that would draw my attention. I have never considered myself to have any background, or even any interest, in farming, and I have never lived outside of major cities. Through a Bachelor of Arts course at university, I was fortunate enough to have the opportunity to work on the ‘Invisible Farmer’ as a student intern, however, this prospect was initially daunting as I felt overwhelmingly disconnected from the subjects of the project, and unsure of how I could ever be qualified to write about these women and their experiences. On my first day, however, curators Liza Dale-Hallett and Catherine Forge launched me into a wealth of knowledge and understanding, that has permanently altered not only the way that I think about women in farming, but how I think about farmers and farming industries in general. Throughout my internship, lead curator of the project Liza has taught me not only about the many strong and innovative women who tirelessly feed, clothe and house Australia, but she has taught me how to study, record and present history with a completely new mindset. I interviewed Liza as part of my work on the project, and I hope that her experiences and knowledge shared here can increase understanding of the both the project and the museum industry, and continue to shine a light on the contribution of Australian women in agriculture and farming. 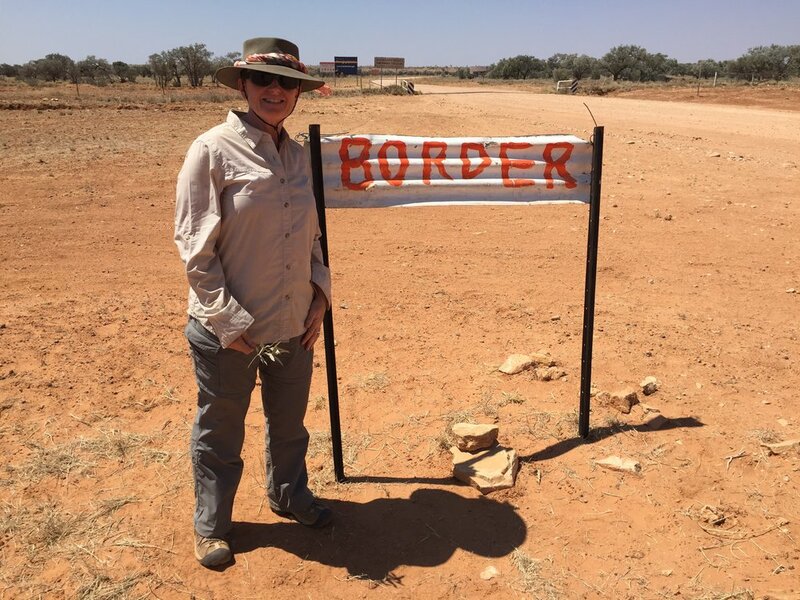 Liza has worked as a museum curator at Melbourne Museum for thirty years with a focus on rural women's histories, and her connection to the project is personal. Liza’s family owned and ran a sheep and beef farm from the time of her birth until she was in her 20s in the 1980s. After developing a strong interest in history at high school, Liza completed her bachelor degree with honours in history at Monash University. Liza began working with Museum Victoria in December 1987. Her first curatorial role was to complete the installation of the first exhibitions at the Australian Stockman’s Hall of Fame in Longreach, Queensland, in time for the opening in April 1988. She then worked in the newly created Social History Department at Museum of Victoria and developed the Work in the Home Collection. In 1993, she became the curator of primary production and responsible for the Museum’s agricultural collection, which is one of the most significant collections of its kind in Australia. Through this, she has led projects such as the H. V. McKay Sunshine Collection, the ‘Future Harvest’ travelling exhibition, the Victorian Women on Farms Gatherings collection, the Victorian Bushfires Collection and of course, the Invisible Farmer Project. It was a thrill to interview Liza and to learn about innovative curatorship and the role of oral history in the Invisible Farmer project. I hope you enjoy reading this excerpt from the interview recorded in July 2017 in the Conservation Sound Studio at Melbourne Museum. In as few words as possible, can you explain the purpose of the ‘Invisible Farmer’ project? I suppose fundamentally, it’s to redefine ‘farmer’, to include all parties, men, women, and children, who are responsible for producing the things that we enjoy as consumers… It’s also to uncover and record the untold stories of women on the land. 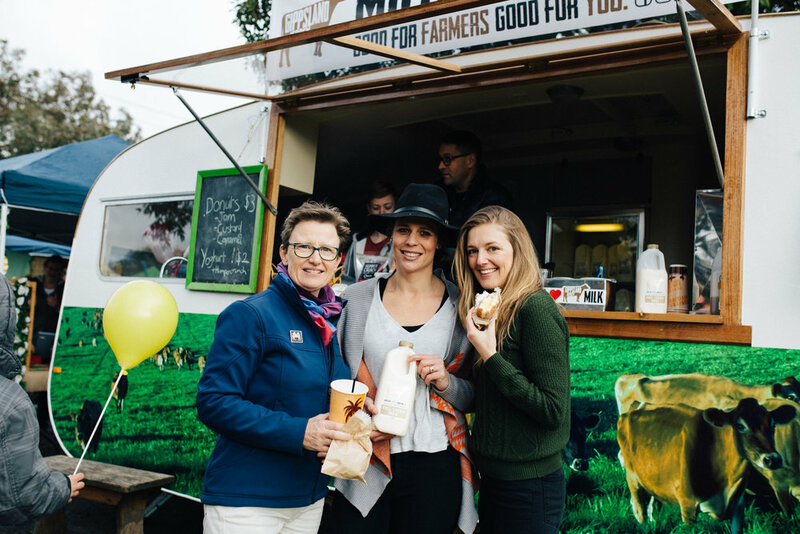 It’s to facilitate conversations about the critical need to understand where our food and fibre comes from, and who produces it, and why gender equality is so fundamental in addressing issues that keep emerging such as climate change, rural decline, globalisation and urban sprawl. What would you say your view of ‘history’ is as a history curator? Specifically, how you think it should be presented to us and how should it be defined? The single most important take-away from my university history degree was the word ‘relevance.’ So that’s my touchstone. That is the most important part of how I determine why it matters, what to do and how to do it. The other key words that shape my view of history are: impact, meaning, community ownership. And recognising the fundamental continuity between the past, the present, and the future. So when I think about history, this is history. We’re making history now as we sit here doing this interview. This is a moment in time that keeps passing, and I keep sharing my ideas, and that gets recorded, and the people who listen to this in the near future, or the long future, they’ll engage with it as a piece of history. But it is actually history right now, too. I like to think that the museum has a role to play that makes a difference, that adds value to people’s lives, that stimulates positive outcomes in the community. And I think the only way that you can know that you are going to contribute something of benefit is to be relevant. Every museum has a huge responsibility - they are assumed to be holding and creating our memories for future generations. As a history curator, I can’t look at the past without also looking at the present. It is important for museums to look outside all the time, and as a curator to look at the big issues of the day, and ask ourselves how does history help us understand how we got here, and how the museum might help to facilitate a space that allows people to understand, appreciate and perhaps think creatively about their own lives and futures. So for me, history is a dynamic space, it’s about continuity. It’s about being relevant and responsive. It’s all about story and community, and helping individuals to participate in a very active way in making meaning. Given that artefacts and objects have such limitations, how have you gone about engaging the community and capturing their stories? When I became the curator of primary production in 1993, I went on a little investigation of the collection, which is one of the most significant collections of agriculture in Australia, and I looked around and I thought, well, where are the women? Where are their stories? I couldn’t see them. I could see lots of agricultural technology, but I couldn’t see how it was possible to make sense of women’s lives through that collection. So that was a provoking question. Where are the women? And, how do I access those stories, and how do I document the role women have played over the generations in agriculture, to fill those gaps? The 1993 Women on Farms Gathering at Tallangatta, was my way in to trying to answer that question. And what I found, at that Gathering and the many other Gatherings I attended, were women who were coming together, supporting each other in the face of very critical changes impacting those communities and those agricultural industries. They were learning new skills, investigating, exploring all sorts of alternative forms of agriculture. They were daring to call themselves ‘farmers' and challenging terms such as 'farmer's wives' or 'helpmates'. They were really extending themselves into spaces that would hopefully sustain them and their families and their communities. And they were also using story, and symbols, as a way of making meaning and connecting with each other. So, through these Gatherings I was able to witness history being made and expressed from all parts of Victoria. The stories and symbols, which were a central feature of these Gatherings, helped me see creative ways to document these untold stories. The Gatherings also helped me make connections with any number of people and to develop partnerships which have been fundamental to my practice as a curator and which continue to inform the work I do. The Victorian Women on Farms Gathering Collection is the basis from which the Invisible Farmer project has emerged. Icons that form part of the Victorian Women on Farms Gathering Collection, a cowpat from the 1992 Numurkah Gathering, a Mallee sands and seeds bottle from the Ouyen 1998 Gathering and a computer motherboard from the 1997 Bendigo Gathering, Source: Museums Victoria. Why do you think it’s important for curators to reflect the process of ‘making history’ and what does this process entail? History is a construction. It’s a collection of things and stories that are either deliberately preserved, or accidentally preserved. As a curator, I’ll have certain questions and areas of interest that I want to pursue and document. And then when you listen to people, they also have a story that they have framed in a particular way, that they consider important and meaningful. And so you come into this space where you both are curating that story and making judgements about its significance. This is an important part of the concept of living history - it’s never just about the past. The history could be generations old but still be very powerful and personal space to be in - it still needs to be handled very carefully. I think enabling the agency of each person - allowing them to help shape how their history should be documented - is really important. We all make history. And we all need meaning in our lives. The Women on Farms Gatherings taught me the power of collaboration and the Future Harvest project demonstrated how critical it is to involve the community in framing relevant questions. That process of making history and making meaning, in partnership with communities and individuals, is very powerful and can be really transformative for those involved. How important do you think images are in recording history and how relevant are they to this project, to work in conjunction with the oral histories that you’re collecting? One of the most graphic ways of demonstrating the invisibility of women in agriculture and farming, is just to do a Google Image search. In every ten images you’ll be lucky if you find one woman. Most of them are white, middle aged blokes. It’s such a discrepancy with the reality. The fact is that women create half of the real farm income in Australia – but their half of the story is missing. So, there we have a resource, which most people, and certainly every child, considers as a go-to encyclopedia presenting images that don’t reflect reality, that present a very skewed view of farming. Part of what we’re trying to do is fill in these gaps. Sometimes images are a good way to do that, as it might not be possible to collect artefacts…perhaps there isn’t an artefact that properly represents that person’s life but there is an image that does. Images are a really important tool for social history, to understand some of the changes that happen over time. They are a great compliment to interviews and oral histories. We live in an age of images, you know, everything is visual. Social media is peppered with fabulous photos. So we sort of have to use the medium to try to help shape people’s understanding about the diversity of the ways in which women are involved in production on the land in all its many guises. Using images is a prime tool in our social media campaigns. The other critical thing about images is you can’t inspire girls and young women to participate in agriculture if they can’t see images of other women in agriculture. There’s a lot of innovative women, but unless you represent them visually, you can’t inspire a new generation towards that field of endeavor. You need to have the images to make that sort of shift; and also to challenge the assumption that the farmer is always a bloke. What do you think the role of language is in this project and in the wider rural women’s community? Language is a tool to connect, to communicate, but it can also be a tool that excludes whole communities. So that’s why ‘farmer’ is so important. Why should it be only associated with men? It’s a word that describes a commitment, an activity, an involvement, a connection to the land, and to primary production. So language is a critical part of this project because we’re wanting to redefine those cultural assumptions, those cultural habits. And through the stories of women we are revealing the complexities and diversities of ‘farmer’. ‘Invisible’ has been a word that provokes a response. There’s a lot of women who aren’t invisible. Clearly they’re not; they’re leaders, they’re active community members. The word is intended to provoke people to make more visible that which is not so visible from any number of perspectives. Whether it’s Google Images, or the person in the supermarket who hasn’t got any idea that women are involved in producing all of what they eat, or the stories we choose to remember in our national histories. 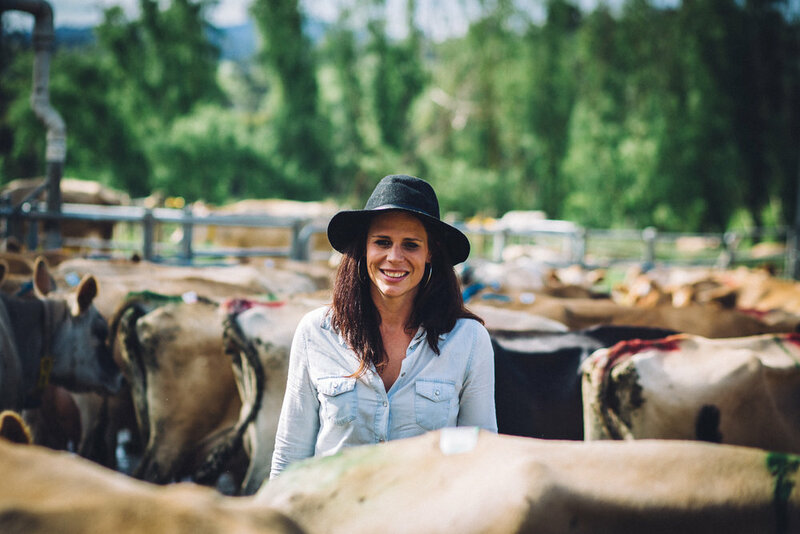 The Invisible Farmer project is wanting to create change. We are stimulating discussion, we are getting people to think about what matters, and hopefully the words we use will do that. You wrote a wonderful tribute to your mother on the ABC Open ‘Invisible Farmer’ website. How much of your interest and your dedication to this project would you attribute to your personal history, specifically your mother? 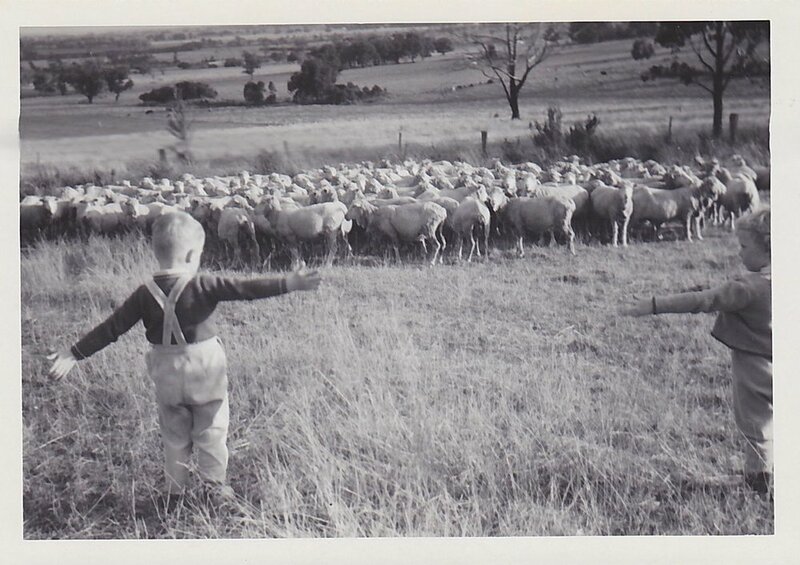 My family owned a farm in Tynong, Gippsland. It was a weekend farm. We lived in Melbourne and every Sunday (rain or shine) we worked there. My mother was a farmer. I think we were all farmers. Though father would have identified himself as THE ‘farmer’; but he definitely couldn’t have done it without us, and certainly not without my mother. Everything was undeveloped when they bought the property. In the 20 plus years we had the farm there was never any power connected. They built everything by hand, that meant all the fencing, yards, sheep dip, sheds, and the whole house was built by hand. The clearing was all done by hand. So everything was very physical, very manual. My mother did as much work as my dad did. But she probably did more because she also had to feed us all after a full day’s work in the sun or the rain. How much of your interest and your dedication to this project would you attribute to your personal history, specifically your mother? My mother worked hard. We all did. Yet it was my father who was apparently the ‘farmer’. I didn’t really think about this at the time. But when I became involved in this field as a curator, that inequity, and blindness, became a very strong motivating force for me. Why shouldn’t women’s work be counted and properly acknowledged in our culture and history? So writing the tribute to my mother was one way to say thank you to her, and to finally call her a ‘farmer’. So would you say that your love of rural history, sort of combined with your love of the land? Yes, I have a deep connection with land and farming. And when we were children we went on long road trips, often staying on farms. So I have been very lucky that throughout my life I have travelled to many parts of Australia. I’ve seen and tasted and experienced its diversity, its beauty and its challenges. Travelling within Australia, especially beyond the fence line, is one of my grand passions - it absolutely informs who I am, and my work as a curator. In terms of my interests I suppose they come from so many different places…but I think once you start meeting all these amazing people, men and women, it’s just naturally inspiring. And then you realise that there’s all these gaps in our understanding and knowledge and our histories. And so much of our rural history has not been told, and the inequity of that, and especially the gendered inequity of having so much of our landscape peopled by men but not by the women, who are obviously there, but it’s just so much harder to find them. Travelling to really remote parts of Australia, it's quite humbling to realise that I’m in a position where I can do something about helping to uncover and share these women's stories. I hope that through engaging with the community, we will make some sort of difference that is worthwhile and valuable, and that perhaps might even effect some change in the way people think about women on the land, about agriculture in our lives and the essential connections we all have with it. So then it’s sort of like a double imperative; it’s not just about being inspired, it sort of comes back to why I’m here and the opportunity it presents. I’m here to document the history of agriculture in that broader sense - to see these amazing stories and to try to create an equal balance of women’s stories and history within the collection, and beyond. Throughout the project so far, what have been the biggest roadblocks that you’ve come across and were you ever concerned for the project gaining traction, were you ever worried that people wouldn’t care or wouldn’t pay attention? Oh look there’s always road blocks. I think it’s about timing. I think there’s a will to support and acknowledge rural communities in the broadest sense. And there’s a time now when people just think it’s ridiculous that we haven’t properly acknowledged women on farms. 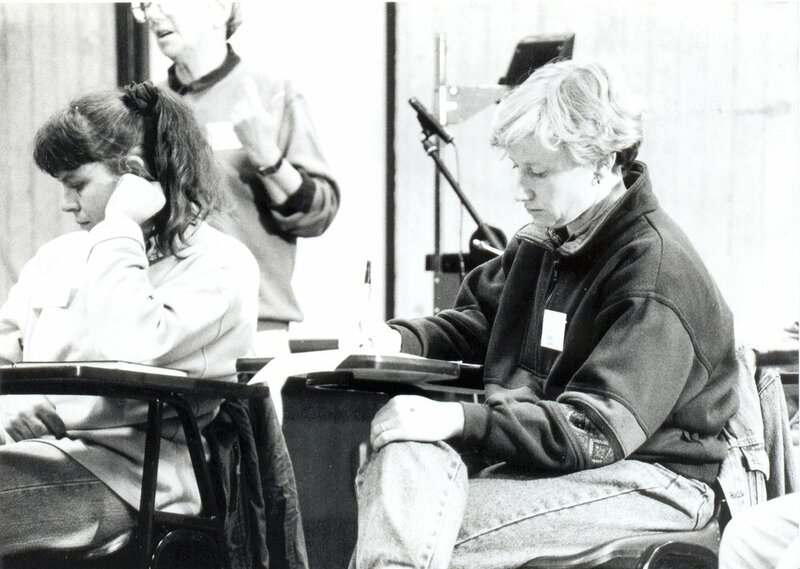 There was a lot of energy in the 1980s and early 1990s to acknowledge and enable women, but then there was a sort of backlash…there was a sense in which someone had ticked the gender box and considered it had been done. Well it hasn’t been done, it’s an ongoing challenge, but I think it’s a good time now for society to reflect on equality. We have not had anyone who doesn’t get excited by this project. Because it’s fresh, it’s innovative, it flips people’s ideas about farming, farm work and what it means to be a 'farmer'. More importantly, it’s empowering, and it gives something back that’s desperately overdue, and hopefully it will yield some really positive outcomes for communities and for consumers. I’m so excited by the amazing farmers that we are continuing to meet through this project, and the stories we are capturing and celebrating. What do you see the final outcomes of this project being, and what do you hope it will achieve? I would love to see greater involvement of girls in agriculture, to find role models where they can follow and be inspired to be innovators, to buy land, to take up farming, to explore all the options that agriculture might offer them. I’m hoping it might stretch our minds and redefine our concepts of ‘farmer’ to include the diverse and innovative array of women working across the industries and sectors in food and fibre production. I’m hoping that our heritage collections might be properly documented in a way that allows us to find those histories. Finally, I'm hoping the Invisible Farmer Project will help us to reflect and be a bit more aware of some of the issues impacting our futures. We are all dependent on farmers. We should be supporting, celebrating and documenting their stories. Women contribute half of the world's food supply, and it's vital that we understand and recognise their significant contributions. Making farm women's stories more visible is not just about the past; it's essential to our future. Follow the Invisible Farmer Project on Twitter, Facebook and Instagram.